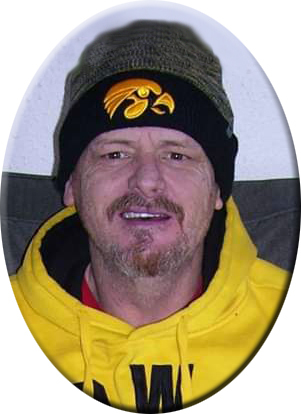 Chris "Sparky" Maedche, 55, of Burlington, died at 5:10 pm Friday, January 25, 2019, at the University of Iowa Hospitals & Clinics in Iowa City. Born November 13, 1963, in Rolla, MO, he was the son of Ernest Edwin and Patricia Mare Bodekar Maedche. Chris was an auto mechanic and switch gear operator at G.E. After high school, Chris went on to complete some college. Chris enjoyed spending his time fishing on the Mississippi River and Montana, listening to music and loved to play the keyboard and harmonica. He was a helpful guy who was loved by all. Survivors include two sons, Christopher (Meriya) Maedche of Portland, Oregon and Mathew (Joanna) Maedche of Elgin, Oregon; one brother, Ernest Maedche, Jr. of Montana; three sisters, Trudy Krum and Tina (Robert) Howard both of Montana and Tami McCullon of Wayland, IA. Besides his parents, Chris was preceded in death by three sisters and two brothers.